The interactive calculator illustrates the benefits of real-time container monitoring software. 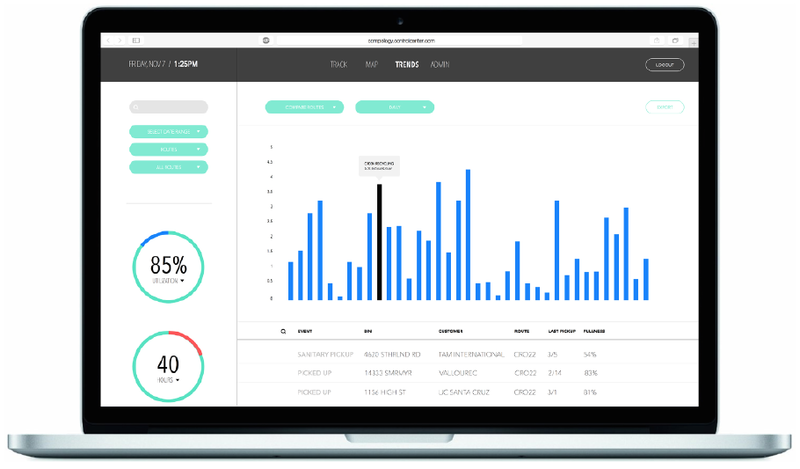 North American manufacturer of waste and recycling equipment, Wastequip, recently announced the addition of an interactive calculator to its website that illustrates the benefits of real-time container monitoring software. The Charlotte, N.C.-based company has partnered with Compology in an exclusive agreement to provide the online calculator. Compology is a San Francisco-based software company specializing in solutions for waste haulers. After testing several container management technologies, Wastequip determined Compology’s software was what its customers needed. The interactive calculator allows users to enter the number of roll-off trucks they run daily along with their average revenue per haul. The calculator assumes that waste haulers can reduce the number of days on site per container by just one day, allowing the hauler to redeploy the container to another customer to generate additional revenue. All assumptions made as part of the revenue calculations are clearly detailed within the website. “Our online calculator allows users to enter information about their business to estimate the financial benefit they will realize when using Compology,” says Gates. The Compology system works by using GPS-enabled sensors with cameras that allow real-time location and fullness monitoring from a web-based dashboard. This allows waste haulers to manage their roll-off container inventory and know the last time the container was emptied. Using this information, haulers can reduce the number of lost or stolen containers and schedule pick-ups when needed rather than on a set schedule. Haulers benefit through reduced equipment purchases and greater revenues from improved asset management and deployment. “The ability to anticipate when they’re full, in advance of the customer calling, brings efficiency to routing and work to be done in the future,” says Louie Pellegrini, owner of Peninsula Sanitary Service based in Stanford, Calif., a third-generation hauler and Compology user. The foundations of Compology are tracking container fullness and location. Compology’s data is continually updated and available on any internet connected device including tablets and smartphones so haulers can manage their businesses anywhere at any time.